Eugene Kingman loved the spirit of the National Parks. 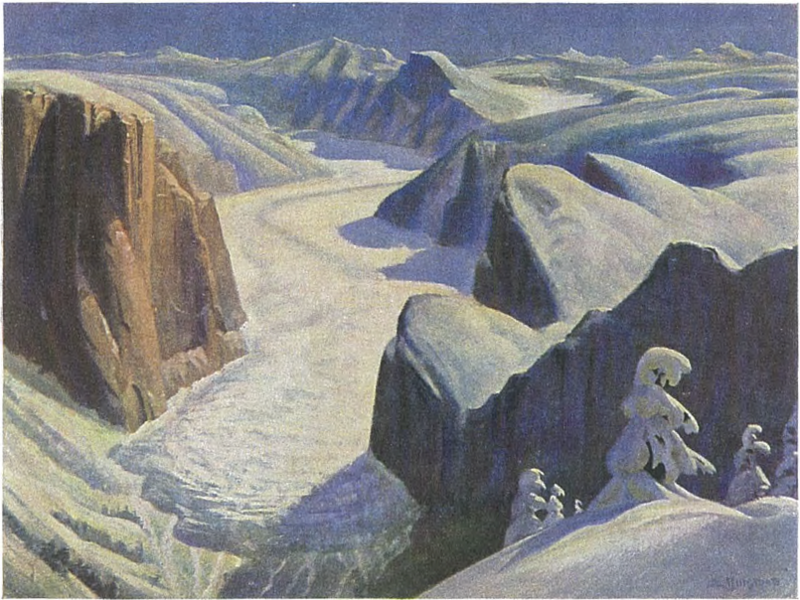 During 1936 he was invited to use his combined scientific and artistic background to illustrate 7 paintings of Yosemite and 6 paintings of Crater Lake National Park in an intriguing geographical article by Dr. Wallace W. Atwood, featuring these 13 paintings in the March 1937 issue of National Geographic Magazine. The title of this article is "Crater Lake and Yosemite Through the Ages" and the full article can be accessed via this link. The Yosemite glaciers made a last advance. When the frozen sea had melted away, a smooth-walled U-shaped valley remained. Many centuries later ice came again, further deepened the valley, and polished the steep cliffs. Half Dome and El Capitan stood up boldly.